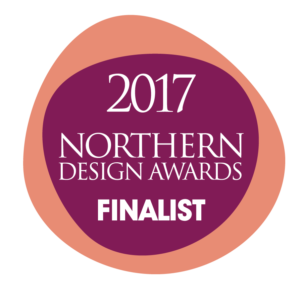 We are proud once again to be one of the 2017 Finalists at the Northern Design Awards. We won the award in 2015 with our Shippon Staircase, and again in 2016 with a floating glass and timber staircase. This year we have submitted 3 entries for consideration! We will find out if we have managed to pull off a hat-trick on Friday 24th November at the iconic Principal Hotel, Manchester when the winners are announced.